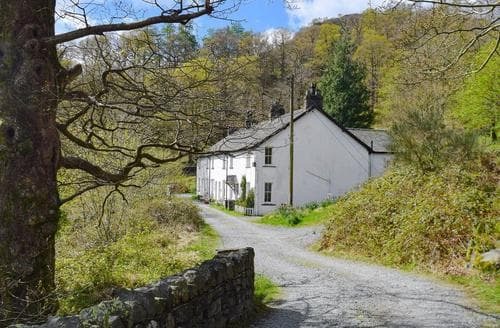 Rosthwaite can be found within the Lake District. 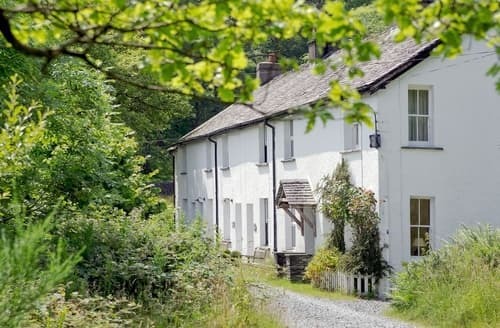 This much loved National Park has recently been awarded UNESCO World Heritage status and Rosthwaite is a lovely place to stay if you want to explore it. 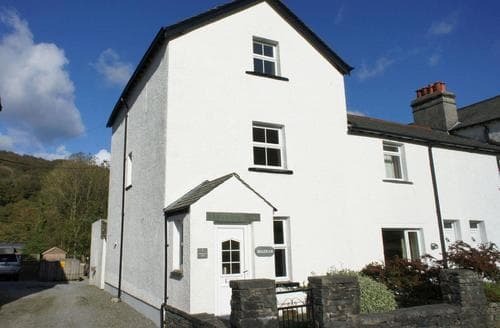 A self-catering holiday cottage can offer a peaceful area of your own to relax in. 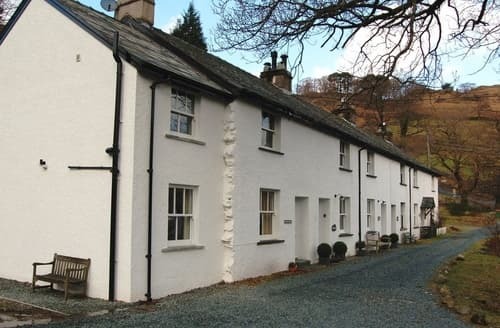 Rosthwaite is near several different lakes where you can enjoy watersports and a gentle lakeside walk. However, if you’re after something a little more challenging there are plenty of nearby fells to tackle. Scafell Pike isn’t too far either if you want to summit the highest mountain in England. Make sure you go prepared, and you will be treated to impressive views on a clear day. From the village itself, there is beautiful countryside as far as the eye can see; the views in the Lake District have been a source of inspiration for hundreds of years. 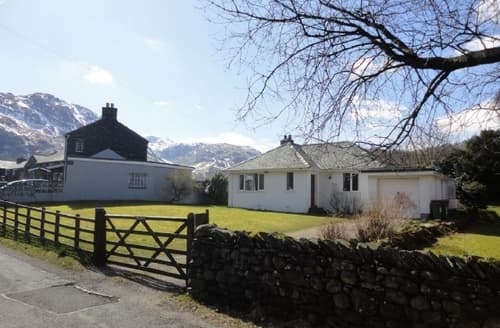 What our customers are saying about our Holiday Cottages In Rosthwaite To Rent. "Firstly, there is no garden! Absolutely nowhere the children could play. There is a small patio at the front which was overgrown most of the time we were there and is on the road, so not a useable space. The freezer was disgusting and I needed to defrost and disinfect before we could use it. The whole house needs a deep clean to get rid of the horrible smoky smell - we ended up frebreezing everything. The sofas just need replacing! Not enough batteries for the remotes, tiny TV and no spare light bulbs. Kitchen was well equipped although no salt or pepper etc! Mattresses were very old - the double was ok but the singles weren't very comfortable. Bathroom lock was broken as was the light pull - snapped completely in my son's hand. Not enough leg room on the toilet! Would be better with the fridge in the kitchen (or a fridge freezer) and a dishwasher! Plus wifi as you only get vodaphone signal here! Booked late so there wasn't much choice but thought it was expensive for what it was, especially considering what you could get instead in the local area. Property could be so much nicer with a little TLC and a small amount of money. Up for sale and feels as if the owners have given up with it a bit." "We have stayed at S85068 several times pre conservatory and after. This is why we wouldn't return.Old and really uncomfortable sofas.Needs blind in main bedroom for privacy from neighbouring houses.Kitchen needs much more lighting.Both radios/cd are really old and need replacing.No WiFi in 2016?? ?No manual for cooker hob.Patio surrounded by weeds and discarded items.Leak in roof of conservatoryLack of glasses i.e. tumblers that are not chipped.Only one frying pan. Cupboards full of stuff visitors wouldn't use.Tumble dryer in filthy garage full of junk.Television almost impossible to watch as colour is predominantly green, picture quality poor.Conservatory guttering broken and leaking.Bed linen needs replacing.Bungalow needs a deep, deep clean. It would appear that pet sprays are not used in the cleaning although an extra premium is paid for a dog.We vacated 3 days early as we could not put up with the condition of S85068 any longer." "The kitchen equipment was bizarre: although there were vast numbers of glasses and teaspoons, there were no tongs for the cooker, only a tiny fridge (despite the huge utility area) and no dishwasher. The twin bedroom has nowhere to store clothes. 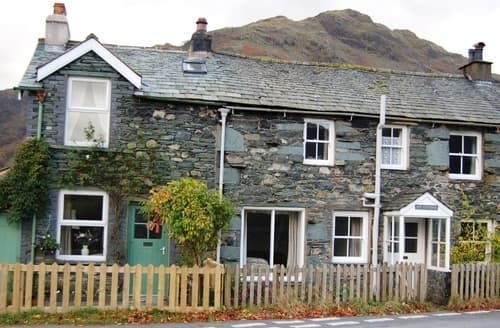 Inadequate lighting in the kitchen, particularly when washing up at night.Upper Borrowdale is a great location, with stunning views and fantastic walking.The cottage needs to have the cobwebs and dead flies thoroughly removed before letting. The prevalence of houseflies is clearly a problem in July and the house needs to address it in some way. 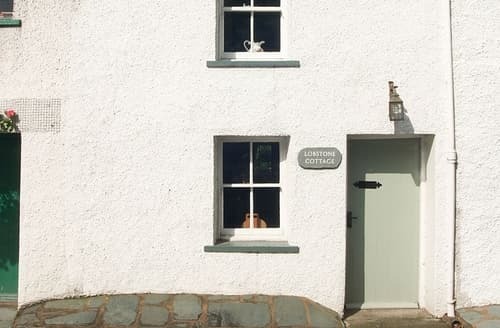 The flykiller patches on the windows seemed to have lost their efficacy.There didn't seem to be a local shop, although the location is excellent for outdoor activities and pub restaurants.The cottage is good value, but still needs to address the other issues listed where possible." 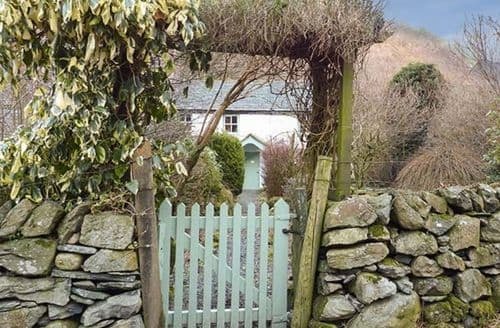 "Lovely cottage approx 25 min drive from Keswick. Felt remote and tranquil with immediate access to walking paths. 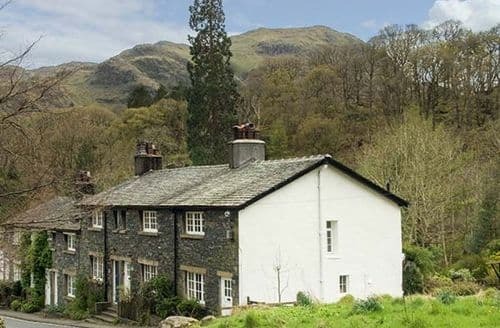 Borrowdale Youth Hostel is closest amenities with a bar (one mile walk along the river). WiFi and incoming landline were problematic however the owner was most efficient in getting BT out to look at it. A digital detox isn’t a bad thing... closest 4G is up the hill along the track. Vodafone had best coverage by far.In terms of access, the bridge to enter the property is very tight. It’s a miracle we didn’t damage the car. Neighbours turn their vehicle at the turning point just beyond the bridge and approach from the other direction which is much better." 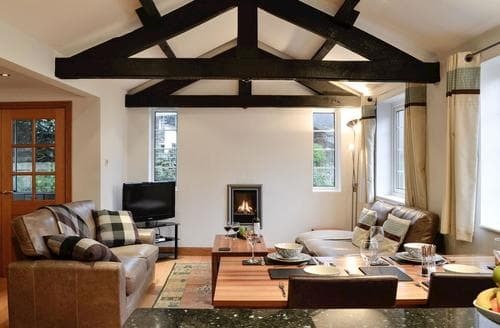 "We booked the farm cottage for a family weekend away with elderly parents and our little girl, age 7. 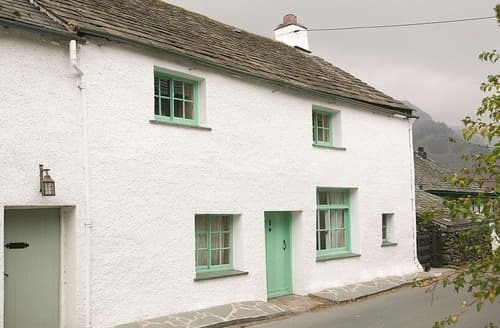 This cottage was perfect for us - plenty of space & toilets and in a fantastic location. Had easy walks from the door and a pub just around the corner. 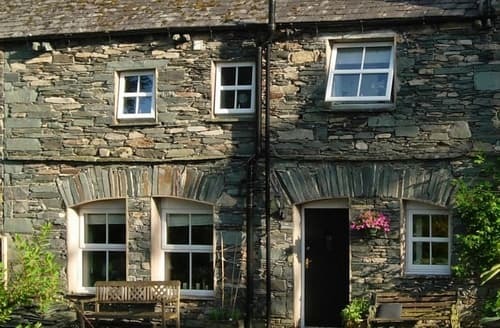 The charm of the cottage itself was a bonus - tastefully decorated with 3 foot stone walls making it quiet and peaceful, with deep window recesses and window seats to look out over the garden, the pretty village of Stonethwaite and the hills. The kitchen, dining room and lounge with open fire were great too. We were made very welcome by the farmer, his dogs and chickens and really enjoyed our weekend."